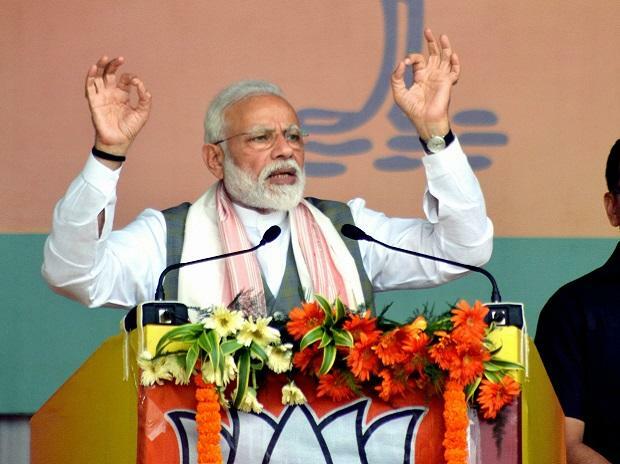 Attacking the Congress over its manifesto, Prime Minister Narendra Modi has said its election pledges are soft on terror and echo views on the Army that are similar to those of Pakistan. In an interview to CNN-News 18, he said the Congress manifesto talks about removing the Armed Forces (Special Powers) Act (AFSPA), which amounts to sending soldiers to the gallows. He also exuded confidence that the BJP will again form the government with a bigger mandate as compared to 2014. “There is a world of difference on many parameters. We are at the crossroads of eliminating terrorism. Terrorists are demoralised, we are winning a psychological war against them. Instead (of backing such efforts), the Congress manifesto is soft on terror. Their views on the Army are similar to those of Pakistan,” Modi said in the interview broadcast on Tuesday. No patriot will tolerate this language, he said. “Their manifesto talks about removing AFSPA. This amounts to making a soldier weaponless. Is this right,” Modi asked. On whether the controversial law will be dealt in a time-bound manner, Modi said it is necessary to first create an environment where AFSPA would be unnecessary. He also cited the example of Arunachal Pradesh where it was revoked from a few districts. “We then revoked it from some states. We were the first to take such a step since 1980. But we have maintained law and order. The government must have the power to protect its armed forces. Only then will they have the morale to fight. Removing AFSPA from J&K is the same as sending our soldiers to the gallows. I will never let this happen to our soldiers,” he said. cognizance of the remarks and has sought a report from poll officials in the state.